How did the First World War affect East Sussex and how can the conflict be remembered during its centenary? This talk will examine the unique space that East Sussex occupied during the First World War between the home front and the front lines. 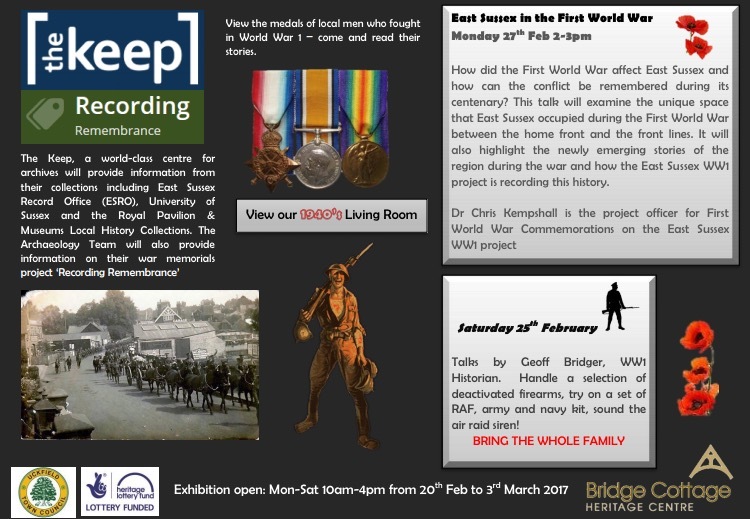 It will also highlight the newly emerging stories of the region during the war and how the East Sussex WW1 project is recording this history. Dr Chris Kempshall is the project officer for First World War Commemorations on the East Sussex WW1 project.